Andrew Bashford is an MA/PhD student, specializing in rhetoric, composition, and literacy. 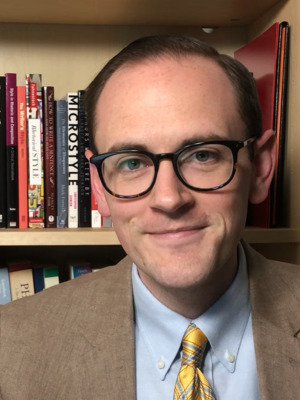 With a BA in English language and an MFA in poetry, his interests tend toward matters of rhetorical style and the different ways in which language shapes and is shaped by its rhetorical context. Bashford is also committed to teaching, having taught both composition and creative writing courses, and he seeks to help developing writers to become more thoughtful and deliberate with respect to what they write and how they write it.